Tax reform has changed the way most taxpayers need to think about and plan for their taxes. It is no longer business as usual, and those who think it is are in for a rude awakening come tax time next year. 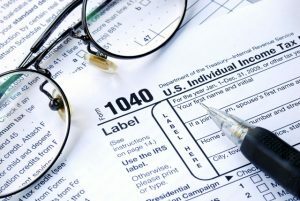 For most taxpayers, the most significant change is the increase in their standard deduction, which on the surface seems like a big benefit. But don’t overlook the fact that the same tax reform that nearly doubled the standard deduction took away the personal exemption as a deduction. So, for example, under old law for 2018, a married couple’s standard deduction would have been $13,000, and their two personal exemptions would have been $8,300 (2 x $4,150), for a total deduction of $21,300. Under the new law, they will be able to deduct $24,000, the new standard deduction for 2018. So, their total increase over what they would have gotten under prior law is only $2,700. If they have four children, their deductions for 2018 under prior law would have been $37,900 ($13,000 plus 6 x $4,150), as compared to the new law’s $24,000. However, for individuals with children under age 17, the child tax credit for 2018 was increased to $2,000 (with $1,400 being refundable) from the prior $1,000, in many cases making up for the loss in the exemption deduction. Note that a credit is a dollar-for-dollar reduction of the tax, while a deduction reduces the income that is taxable. What Does the Future Hold for Taxes? One topic that is frequently being discussed is what the future holds for individual taxation under incoming President Trump. Numerous blog entries have been posted on the issue; many proclaim that the wealthy will be the beneficiaries of Trump’s tax policies, and some declare that lower-income taxpayers will see tax increases. Those predictions are based upon his proposal to consolidate the individual income tax rates from seven to three: 12, 25 and 33 percent. These are the same three rates that were included in the “Better Way” tax-reform blueprint that Republicans in the House of Representatives released in June 2016.